We are holding a meeting to discuss the responsible use of antibiotics. 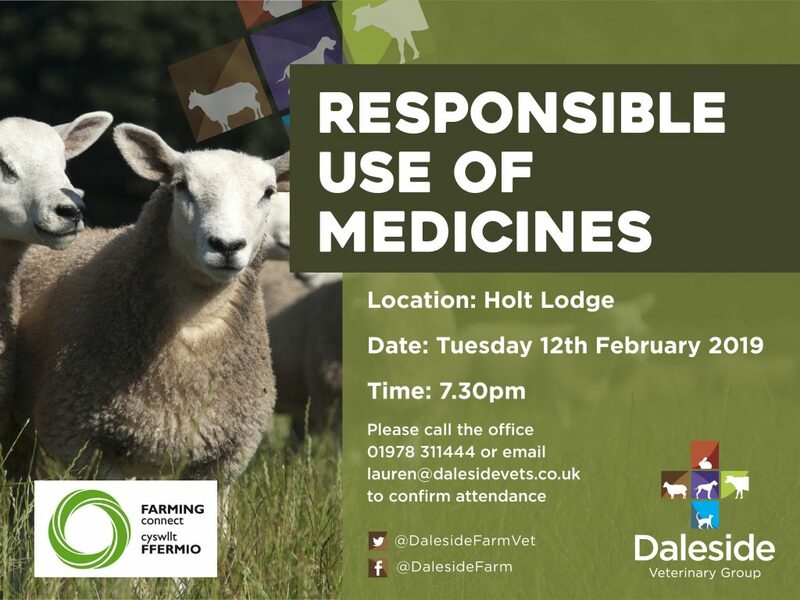 Attendance at this meeting will help dairy, beef and sheep producers to comply with the Red Tractor recommendation that “at least one member of staff responsible for administring medicines has undertaken training and holds a certificate of competence”. Please confirm your attendance by either calling the practice on 01978 311444 or by emailing lauren@dalesidevets.co.uk. We look forward to seeing you there for what is sure to be a very informative evening.